I'm not an avid journaller or creative person, but I do keep a notebook dedicated to lettering practice, currently inked lists, ink swabs and even the occasional doodle. It's a notebook I carry around almost every day, it gets thrown into a backpack, it opens and closes a million times during its lifetime... it has a pretty tough time. 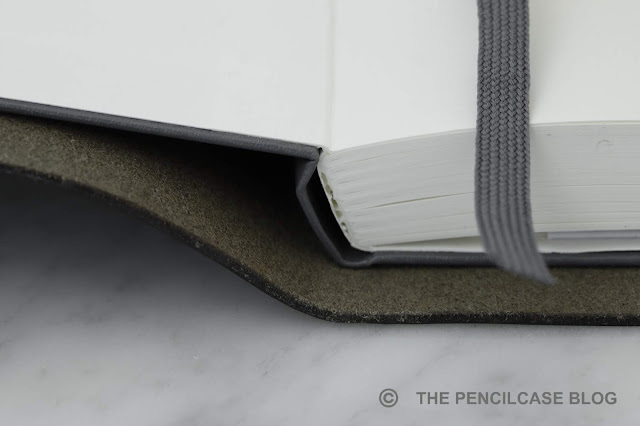 At first, I never thought about notebook covers, but when I looked back at the first Leuchtturm I filled, I realized it wouldn't hurt to protect it a bit from wear and tear. On top of that, a leather cover looks clean too! 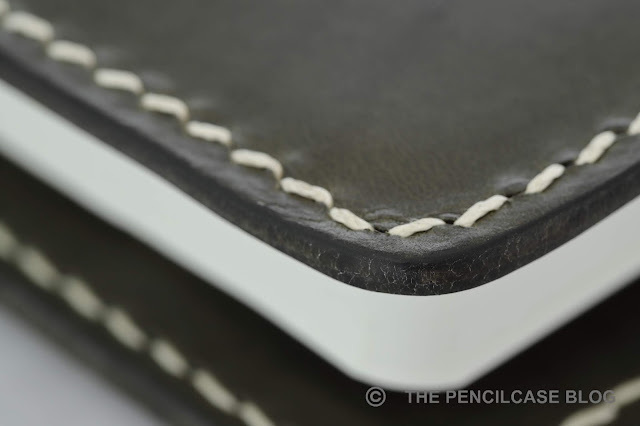 My first hands-on experience with notebook covers was from One Star Leather (read my review HERE), but of course there are many more artisans that create excellent things with leather. 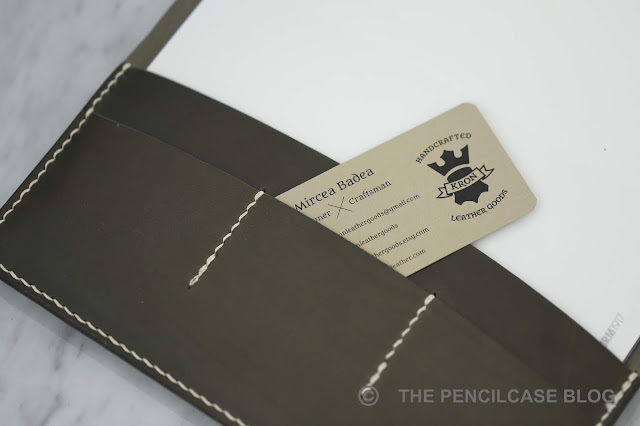 I was recently contacted by Mircea from Kron Leather Goods to check out their take on the leather notebook cover. They sent over a leather cover that fits the Leuchtturm A5 notebook, as well as a small leather sleeve that fits pocket pens like the Kaweco Sport. The A5 cover comes in a couple different flavors, but the general design is always the same. The cover is made up of three separate pieces that are stitched all the way around the edges. 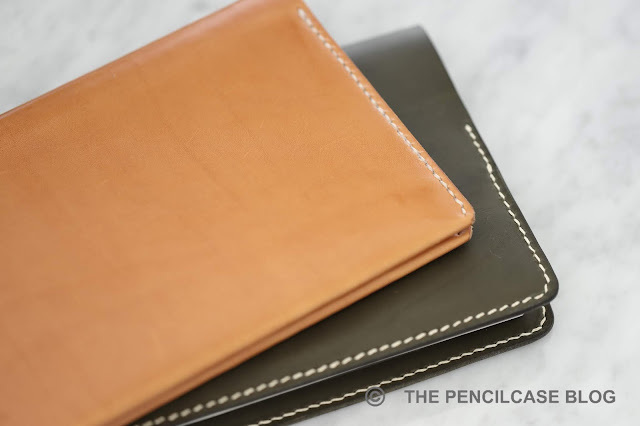 You can opt for card pockets, which adds a third layer of leather to the front inside of the cover. 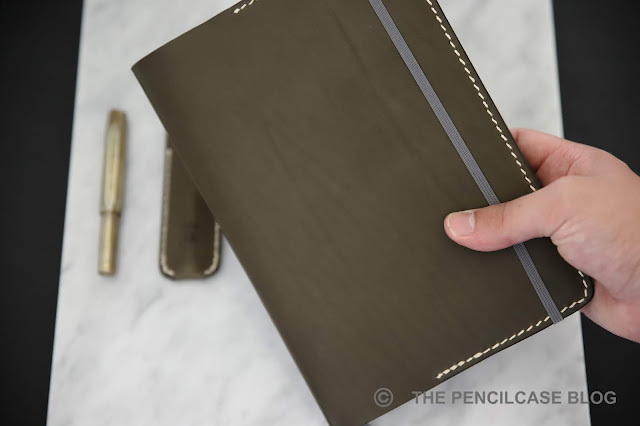 A leather pen loop is also an option. I'm personally not a fan of carrying pens in a pen loop on the outside of a notebook, but it's a possibility nevertheless. All Kron products can be had in six different leather options, all of which fit a very 'natural' color scheme. The linnen sewing thread can be had in 12 colors, so there are a bunch of color combinations to choose from. I opted for an olive green leather, and natural linnen thread, which looks fantastic IMHO. The outside of the cover is left unadorned and has no branding on it. On the inside, the flaps and cutout for the elastic closure are all nicely rounded. There's only so much one can do with the design of a leather cover, but it's a detail that adds some playful character. The cover is minimal but quite refined, and the leather is finished nice and even without blemishes. The veg tanned Italian leather is very smooth and soft to the touch, which might be due to the beeswax and virgin olive oil that is used to condition it (sounds strange, but it smells very nice - it doesn't have a 'chemical' smell). The edges are rounded, burnished and finished with beeswax. The attention to detail is excellent. The edges are smooth and round, making them pleasant to the touch. Stitching is relatively even and straight. There are always small imperfections which show that it's handmade, but I think that adds character to the product. The Kron logo is branded on the inside of the back flap, it's small and tastefully done. Fitting a Leuchtturm journal was easier than with the One Star cover because it's less tightly fitted than the cover from One Star. The cover is a bit larger and bulkier, although obviously part of the bulk comes from the added card slots. 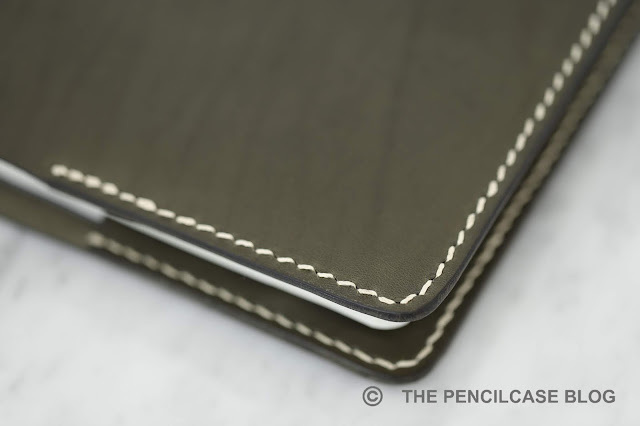 The pen sleeve comes with the same excellent build quality, but the leather feels a bit thinner. 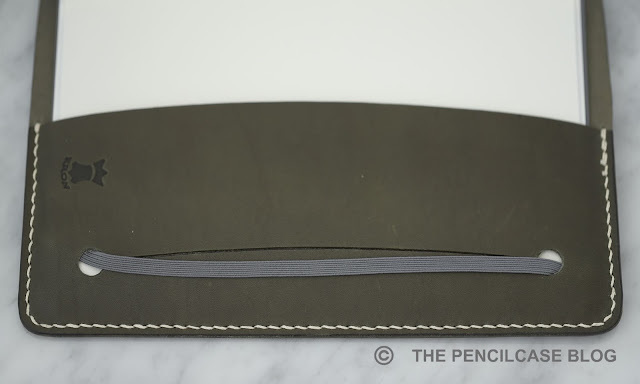 I don't mind thicker leather for pen cases, because it'll obviously protect your pens better. Although I did like that it has a very thin profile, which makes it easy to pocket carry. The sleeve is built around the Kaweco Sport pens, so it obviously fits those like a glove, with no room to spare. Anything larger won't fit, but smaller and especially narrower pens will fit. You can of course contact Mircea to have a sleeve custom made to size. I must admit, I wasn't sure about the practical use of a pen sleeve for pocket pens. I usually just throw small pens like the Kaweco Brass Sport directly in my jeans pocket without worrying too much about it. Yet I ended up using the sleeve far more than I thought I would. It adds some protection, but doesn't add too much bulk. I love handcrafted products, and the products from Kron Leather Goods have definitely proven their worth! 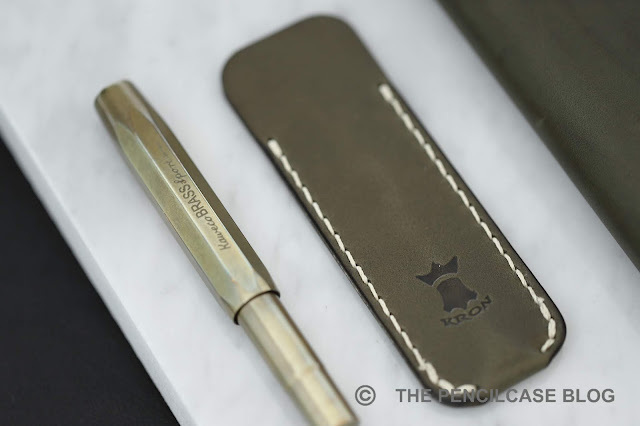 The craftsmanship on both the cover and pen sleeve is excellent, the leather options are nice, and the finishing is detailed. I haven't reviewed an awful lot of leather accessories yet, so in terms of price I don't know many products to compare it to. From what I can tell, Kron's products are priced quite competitively. 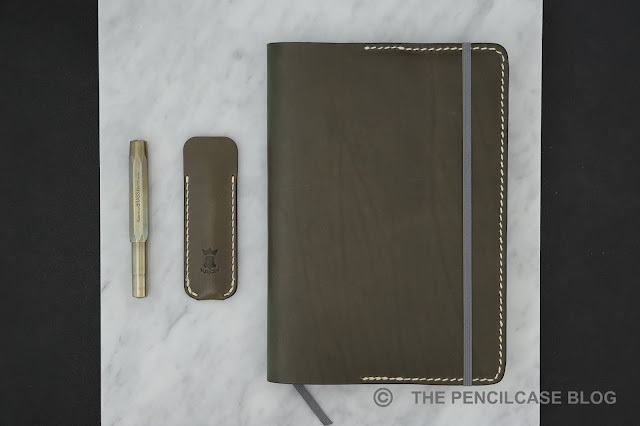 The pocket pen cover comes in at 22 USD, and the notebook cover runs for 86 USD. This product was sent to me by Kron Leather Goods so I could write this review. I was in no way influenced in the making of this review, the opinions shared in this review are completely my own! This post does not contain affilate links.